A number of previous posts have explored the impact of loss during the American Civil War on ordinary people in Europe (See Mapping Mainland Europe’s American Civil War Widows). Many of them had never–and would never–set foot in the United States. The new post explores the stories of three Scandinavian women (one each from Norway, Sweden, and Denmark) and the events of their youth which forever linked their experiences to the 1860s conflagration fought so far away. In May 1861 the American Civil War was just a few weeks old. While the eyes of much of Europe were cast anxiously across the Atlantic, the erupting fratricidal struggle was far from the minds of Per Erik Berg and Karin Woxell. That was hardly surprising, given that more than four and a half thousand miles separated their home in rural Sweden from the seat of war. In anycase, their priorities that month were firmly on their own impending union. 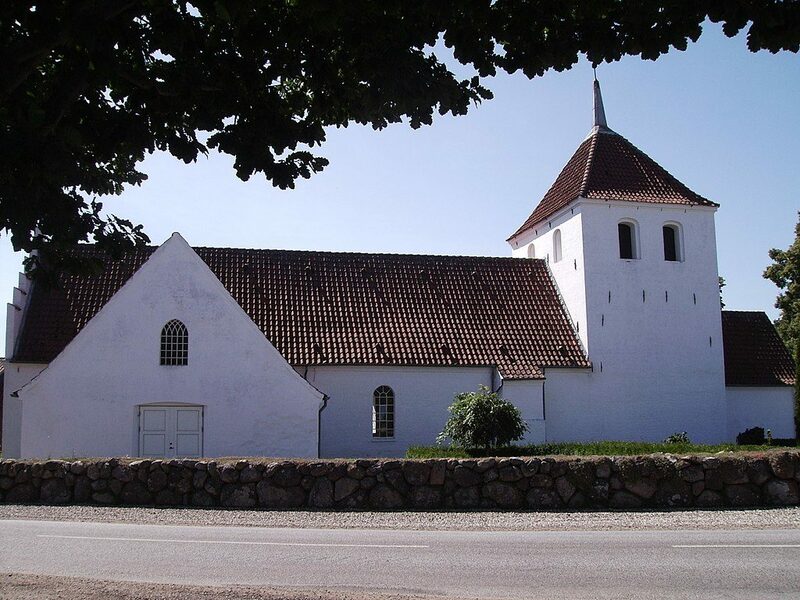 On 21st May the young miller and his bride wed in the parish church of Ilsbo, Gävleborg County, Hälsingland, a province in the middle of the country that fronted onto the Gulf of Bothnia. While the conflict in America ebbed and flowed in the months that followed, the Berg family went about their lives in Sweden. Karin became pregnant, and on 14th May 1863 the couple celebrated the birth of a son, Samuel. But the family’s life was one of constant struggle to stave off poverty. Per decided to try to change that. Gathering together as much money as he could, he set off for the United States. Undoubtedly his plan was to secure employment and gather enough funds to send for his wife and son. It was a well-worn emigrant strategy. Per headed to Massachusetts, an area where he already knew some Swedes – men like Christian R. Durback, who was a cabinet-maker in East Boston. While he sought out work as a laborer in his new home, back in Sweden Karin and Samuel moved in with Karin’s mother, and waited for news. While Karin awaited developments in Sweden, on the other side of the Scandinavian Peninsula another wife and mother anxiously sought news from across the Atlantic. 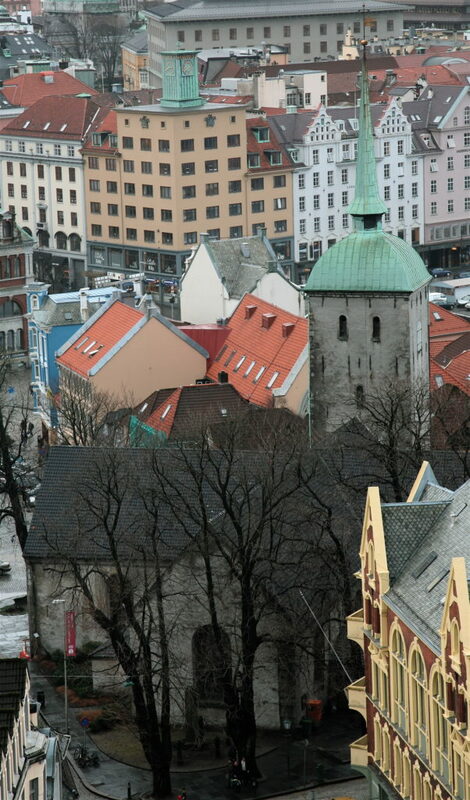 Gurine Nastaas made her home with her six children in the Norwegian city of Bergen, on that country’s south-west coast. Her husband had left for America sometime before 1862. His name was Knut Johannes Nastaas, and he and Gurine (née Ellingsen) had married in Bergen’s Korskirken on 12th May 1845. At the time, Knut was serving as a Vice-Corporal in the Norwegian army. Their wedding may have had more than a hint of social necessity about it, as Gurine had already given birth to their first son–Johan Christian–on 20th March. 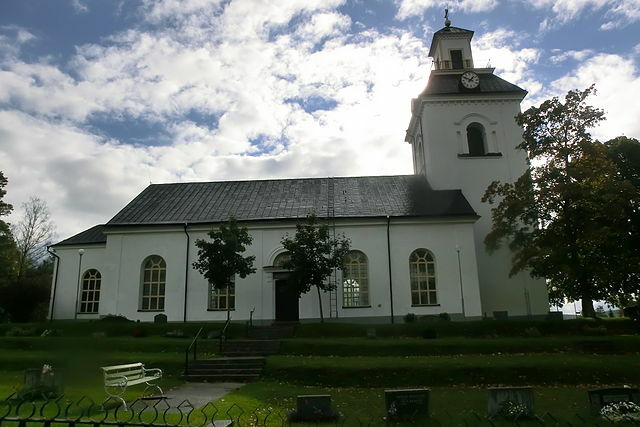 Indeed, their baby boy was christened in the Korskirken on the same day the couple wed. In the years that followed the family grew: Christine Gurine (b. 1847), Erik (b. 1849), Knut Christian (b. 1854), Sigtrud (b. 1857) and Moilde (b. 1859). Perhaps it was Knut’s military background that led him to embrace the opportunity that the American Civil War offered. On 22nd July 1862, he enlisted in the 82nd Illinois Infantry–an ethnic German regiment–in Chicago. In the years ahead he would march with them to famed battlefields like Chancellorsville, Gettysburg and Atlanta. Young man, carpenter Niels Chr. 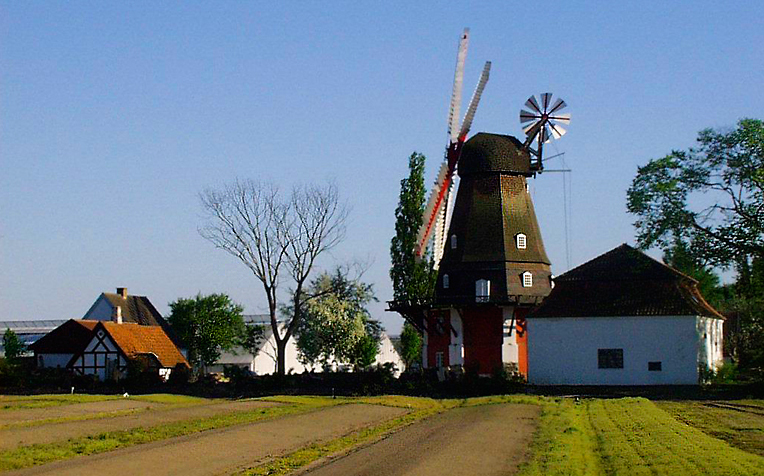 Rasmussen, residing with his father, Rasmus Rasmussen in Lumby, 22 2/12 years of age, and the girl, Thrine Magarethe Jeppesdotter, residing with her bro in law, farmer Niels Hansen of Østrup parish plains married in Østrup church. The bride, a short time after the wedding moved to her husband in Lumby. Like Karin and Gurine, Thrine’s husband had not been an immigrant long, leaving for America sometime between 1859 and 1861. He enlisted in Hudson City, New Jersey in September 1861 in the 54th New York Infantry, another largely German unit. With them he fought Stonewall Jackson at the Battle of Cross Keys in the Shenandoah Valley, but met his end at the Second Battle of Bull Run, Virginia on 30th August 1862. Thrine–who had no children–would never marry again. In Massachusetts, Swedish emigrant Per Erik Berg was finding employment difficult to come by, or perhaps saw in the military bounties on offer an opportunity to fast-track his plans to bring Karin and Samuel to America. Either way, on 29th February 1864 he enlisted in the 59th Massachusetts Infantry in Stoneham. Per decided not to use his real name, instead entering the army under the alias of Charles Peterson. He was described as 5 feet 6 inches in height, with blue eyes, brown hair and a light complexion. Assigned to Company G, he fought with the regiment through the Overland Campaign. Outside Petersburg, Virginia on 24th June 1864 he was struck by a Rebel bullet near his right elbow. Evacuated first to City Point, he was ultimately moved back to the U.S. General Hospital in Readville, Massachusetts. His friend Christian Durback visited him there, and presumably wrote to Karin in Sweden to inform her of the news. As was so common during the war, Per contracted a secondary disease while weakened by his wound. He was unable to recover. On 23rd October 1864 he died, officially succumbing to chronic diarrhoea. Per Erik Berg was buried under his alias in the Old Village Cemetery, Dedham, Massachusetts. In the Western Theater, old Norwegian soldier Knut Nastaas survived the worst the Confederate Army of Tennessee had thrown at him. But it was to be the March to the Sea that did him in. 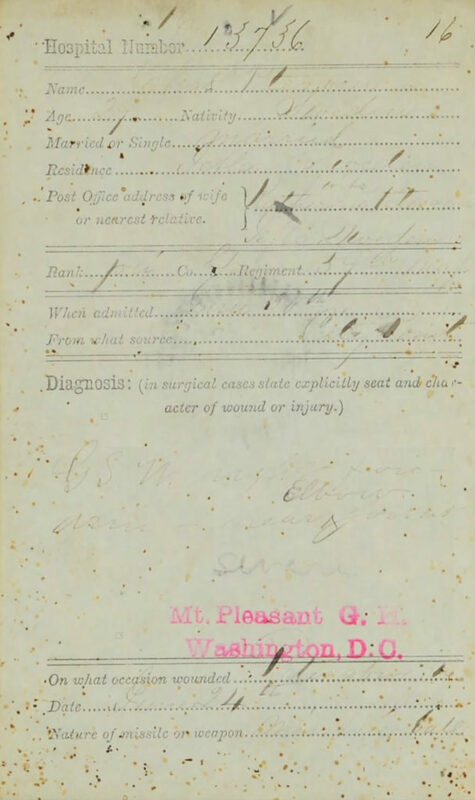 Like Per he contracted chronic diarrhoea, which ended his life at Dalton, Georgia on 16th February 1865. All three Scandinavian women ended the American Civil War as widows. None had ever been to the United States, and none ever seem to have travelled there. Neither would any of them ever remarry. With the help of their respective American Consuls, as well as family and friends in Europe and America, they all successfully secured a pension. In 1865 each of them had decades left to live; Thrine, Gurine and Karin all survived well into the twentieth century. Thrine died in Østrup, Denmark around 1910. Gurine passed away in Os, Norway on 30th January 1914. Karin’s last day came in Östanå, Sweden on 15th March 1917. There had been bumps along the road with respect to their American pensions–for example all were affected by the crisis which impacted European pensioners in 1893 (You can read my piece about that here). Nonetheless, the finances the pensions brought must have made a great difference to their lives, though at an awful price. All had lost not just their husbands, but their chance for a new life in America for themselves and their children. Ultimately each of them successfully navigated the challenges placed before them. 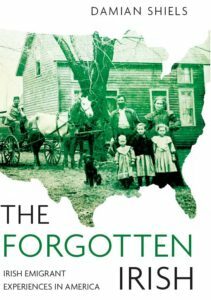 Today, their lived experiences are a further testament to the global impact of the American Civil War, an impact which stretched even to the remote farms and villages of Europe’s Northern extremes. Charles Peterson Military Service Record. Widow’s Pension File of Karin Berg. Widow’s Pension File of Gurine Nastaas. Widow’s Pension File of Thrine Rasmussen.